As a consumer, you know that there are many ways to evaluate products before you decide to make a purchase. 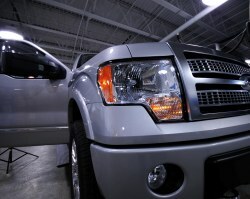 One of the largest purchases made by the average consumer is a car, truck or SUV. While you may have considered consumer reports, automobile magazines, and other industry standards, remember that evaluating the safety of a vehicle can be more complicated than simply comparing reports. Whether you are buying your first vehicle, upgrading for a new family member, or you simply want a newer model, there are a number of critical factors to consider when buying a new car. In addition to comfort, style, and advanced technology, your priority is going to be the safety of the vehicle. Government reports, insurance records, crash-test scores and independent research are all ways to gauge vehicle safety; however, recent evidence suggests that these reports will not paint a fully accurate picture. Every year, motor vehicle accidents cause serious injury and accidental death. Our Boston car accident attorneys are experienced in the investigation of these accidents and are committed to helping victims and their families recover full compensation for their losses. We also know that preventing accidents is the best way to prevent catastrophic injuries and fatalities. To test vehicle safety, automobile manufacturers may try to recreate various accident scenarios. Unfortunately, statistics are rarely able to encompass the wide range of accidents that may occur on the road. Vehicles could strike a pole, be struck from the side, rear-ended by a semi-truck or be involved in a multi-vehicle collision. As most drivers already know, an accident with a vehicle that is twice the size or weight can significant increase the chance of serious injury. According to a recent report, the vehicle you choose to buy can largely impact how well you and your passengers fare in a collision. In addition to analyzing safety features, you should also consider the size of a vehicle and the style of vehicle you are looking to buy. The odds of fatality are 7.6 times greater for car drivers than for drivers of SUV’s in an SUV-car collision. While it is common knowledge that larger vehicles do cause greater damage to smaller cause, the study highlights the very significant difference a vehicle size can make when involved in an accident. Government reports, insurance industry records, and other crash-test data may consider safety features including anti-lock brakes, airbags, or design. Newer safety features may be high-tech, allowing cars to communicate with other vehicles on the road. Some analysis will also consider the demographics of drivers and their passengers, including whether the vehicle is safe for children or older drivers. Head-on crash collision was analyzed in the FARS (Fatality Analysis Reporting System) which is maintained by the federal government. Analysis of this data proved that the type of car (SUV or car) was more important than the safety features offered by individual vehicles. When purchasing your next vehicle, consider the type of vehicle, not just the crash-test ratings. Vehicle scores can be helpful, but remember that the size of a vehicle may be more important than the safety ratings. If you have been injured in a car accident in the Boston area, contact Massachusetts Personal Injury Attorney Jeffrey S. Glassman for a free and confidential appointment to discuss your rights. Call 1-877-617-5333.